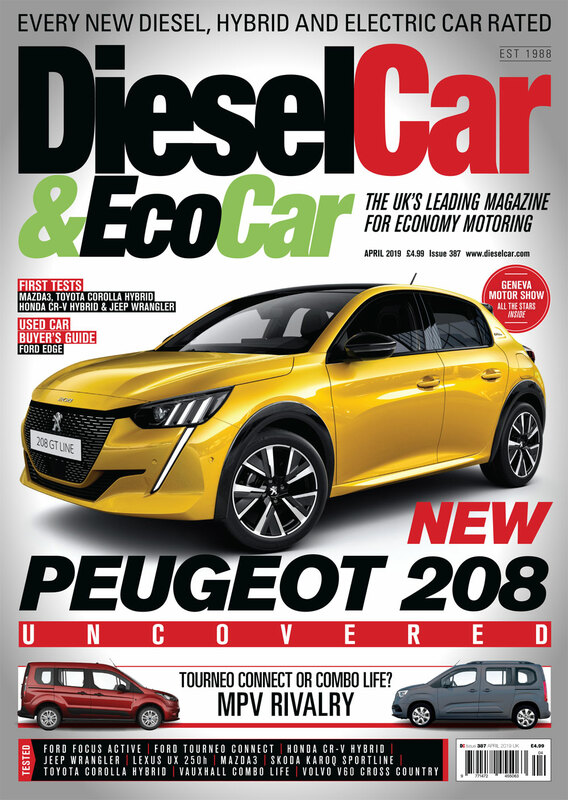 Home › News › Inside the April 2019 issue of Diesel Car & Eco Car Magazine – on sale now! Aside from the show, we’ve also been driving the brand new Mazda3 1.8 diesel, and tested the Ford Focus Active, Jeep Wrangler and Volvo V60 Cross Country on UK roads. Skoda’s Karoq SportLine sits close to top-of-the-range, but is it worth the extra cash? Our road testers find out. In Eco Car, some new high-profile hybrids have made their debut, and we’ve been testing the Toyota Corolla, Lexus UX 250h and Honda CR-V. Finally, Ford’s Tourneo Connect MPV goes head-to-head with the Vauxhall Combo Life. Which one comes out triumphant in the space race? There are also all your favourites including Doctor Diesel, Marketplace, The Extra Mile, Buying, Maintaining and Selling, and the most up-to-date data section in the business, including all the new WLTP fuel economy figures.